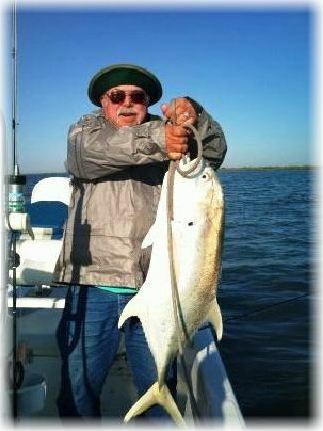 Port O'Connor has some of the best fishing on the Texas Gulf Coast. We have as many varieties of fishing opportunities as you can find anywhere. It is close to the Gulf which provides excellent fishing for red snapper, king, ling and jack fish, plus many deep water fish such as sailfish, marlin, tuna, dolphin and wahoo. We have the largest and deepest bay system on the Texas Gulf Coast. 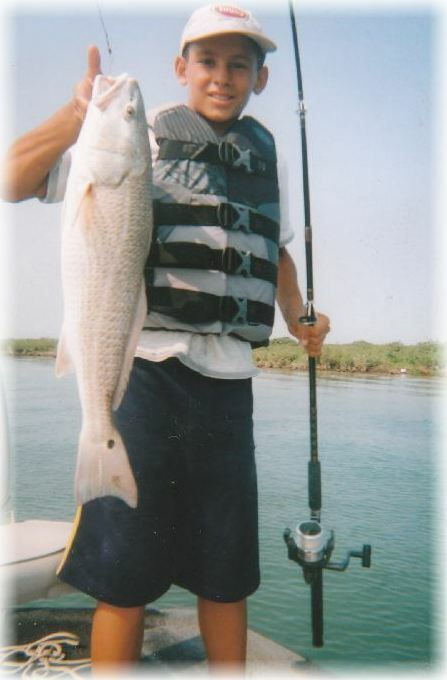 Favorite fishing spots include Matagorda Bay, Espiritu Santu Bay and San Antonio Bay. These pristine waterways are full of Redfish, Seatrout, many spieces of Shark, Flounder, Pompano, Gafftop, Whiting, Croaker, Sheephead, Black Drum, Jack Crevalle and Spanish Mackerel. But the most impressive is the "silver king" of inshore game fish, the tarpon. Port O'Connor is one of the best birding "hot spots" in Texas. We have held the record for the most bird species spotted in the whole nation for the last 5 years. 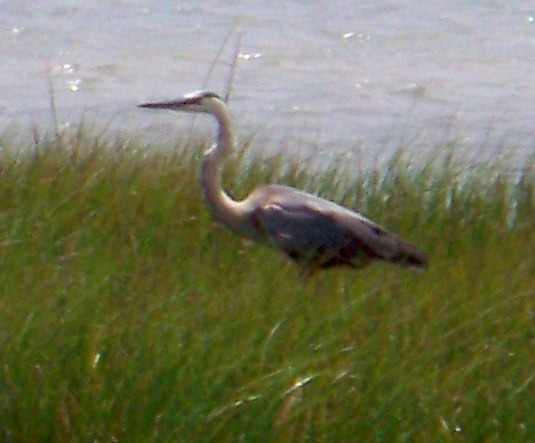 The springtime is the peak season for birds in the Port O'Connor area. You can see White and Brown Pelicans, Pectoral Sandpipers, Lesser Golden Plovers, thrushes, Wood warblers, tanagers, buntings, orioles, and a large variety of terns and gulls, black skimmers, American oystercatchers and a bunch of different species of ducks. You will also probably want to make a trip to Bird Island. It is the home of at least 18 species of birds, like the roseate spoonbills, reddish egrets, snowy egrets, scarlet ibis, white-faced ibis, great blue herons, black skimmers, cormorants, oystercatchers, and a large variety of gulls and terns. There is an impressive 25,000 nesting pairs of birds that hatch their young here in the springtime. But birders are encouraged to enjoy the view of this island from their boat, so as not to disturb the birds and causing them to desert their nests. The island is also one of the few brown pelican rookeries on the Texas Gulf Coast. During the summer there is estimated 37 species of waterfowl, songbirds and shorebirds that are known to nest near Port O'Connor, in particular on the Matagorda Island. This is the time of the year to watch nesting black-shouldered kites, white-tailed hawks, wilson plovers and least terns, wood storks and of course the magnificent frigate birds. A boat trip to Matagorda Island or the other islands will provide the best opportunities to see magnificent Frigate birds in summer. The best time for Black Skimmers, Reddish Egrets, Nestling Plovers and Least Tern, Peregrine Falcon and migrating shorebirds will be in the fall. There are also several Wildlife Reserves near Port O'Connor. Matagorda Island Wildlife Management Area covers 56,688 acres and is managed jointly by the Texas Parks & Wildlife Department. Nineteen state or federally-protected species inhabit Matagorda Island, including whooping cranes and peregrine falcons. However, the island is still in its near natural state there are no stores, drinking water or electricity on the island. 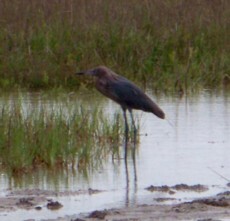 Aransas National Wildlife Refuge consists of approximately 70,504 acres of marshes and salt flats. With long causeways and a 40-foot observation tower equipped with high-power spotting scores, birders get some of the very best views for these migratory birds. With no available lodging or camping at Aransas National Wildlife Refuge, many visitors choose to stay in POC, just a few miles down 1781. Sundown Island aka: Bird Island is a seventy-acre island built from dredge spoil in 1962. The Island is leased from the General Land Office and managed by the National Audubon Society's Texas Coastal Sanctuaries program, as part of the Society's 13,000-acre network of 33 islands that stretch from Mexico to Louisiana. There are at least 18 species of birds that call the Island home, ranging from the Laughing Gulls (as many as 10,000!) to roughly 1,200 pair of endangered Brown Pelicans and some threatened Reddish Egrets. In addition, there are such spectacular birds as the White Ibis, the Great Blue Heron, the Roseate Spoonbill, and the Black-crowned Night Heron. The most visible bird life on the island is likely to be the colonial water birds: as many as 25,000 pairs nest there in a season, including Sandwich Terns, Royal Terns and others. After summer and winter storms, the Matagorda Bay and Gulf beaches are loaded with treasures for your beachcombing pleasure! Shelling Whether you are a serious or a casual beachcomber, Port O'Connor offers numerous shelling sites. Some of these areas include the little jetties along the Gulf Intracoastal Waterway, (ICW) the Gulf beaches on each side of Pass Cavallo and several spots along the beach on Matagorda Island. There are five classes of mollusks, with roughly 400 different species, that can be collected on the Texas Coast. These include gastropods (snails), bivalves (clams, oysters, cockles, and scallops), scaphopods (long, tapering tusk like tubes), chitons (segmented to allow them to roll up like a pill bug) and cephalopods (octopus and squid). One of the most sought after shells on the Texas coast is the Mitchell's Wintletrap. This shell, which can only be found on the gulf coast of Texas and Mexico, has been spotted on several recent occasions on the Gulf Beach of Matagorda Island State Park. Come join us here in POC at "The TWO RV Park" where you can get into the "back bays" to fish, bird watch, beachcomb or just sit back and relax and enjoy the peace and quite of being on the coast and in warmer weather.